One of the challenges of dealing with rental investment properties in San Antonio and other places is that they cost money to rehab and maintain. 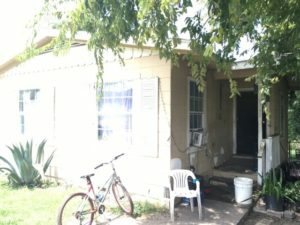 Buy an under market value San Antonio fixer upper for $50,000. Stick $25,000 into it to get it ready to rent. Rent it out for $900 per month. That is a perfectly acceptable way to generate cash flow with buy and hold real estate investments. But what if you can buy the house cheaper than that, put only a few thousand into it, and get it occupied for about the same monthly payment? On this investment property, I got it under contract for just $39,000 (prices in my areas have been dropping lately). And rather than rent out the property – which would require $25,000 or more of rehab, I just do $2000 to clean it up. Then, I find an owner finance buyer interested in buying the property from me on terms of 30 years, 10% interest, $5000 down. That way, I leave most of the rehab to the end buyer, and I can enjoy a very high rate of return without doing any repairs. The buyer has enough income to afford the payment and to live with the other normal life expenses. They have a stable job for at least the last two years. They have a $5000 down payment. Most of these buyers have poor credit, so it is up to me to find good buyers who can pay me on time. If they don’t, we foreclose and get them out in 60 days, and get another buyer in there. That’s the cornerstone of my San Antonio investment property portfolio – buy and hold with owner financing with limited repairs of $2000 to $5000. What do you think? Previous PostPrevious San Antonio Investment Properties Under $40,000 Again!